Alone in The Dark… Looks and sounds GREAT!! After watching 1Up’s interview with Atari’s Phil Harrison on the upcoming the upcoming Alone in The Dark… I have to say I’m impressed. So this interview with new Supreme Overlord of Atari, Phil Harrison, has really gotten me excited on the future of the Alone in The Dark game… with also a possible rebirth of Atari (which is also a great thing :)). Right off the bat, I love the comparison with Indigo Prophecy. I could not think of a better made game in the Supernatural Thriller/horror genre (if that even exists). 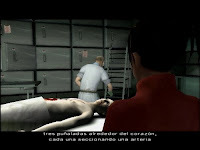 That game had some of the best atmosphere of uncertainty and overwhelming tension in the air for the game’s characters. 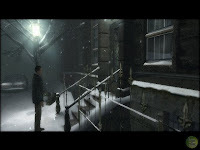 The game had a feeling of real life elements in it: character’s home, the city, the park, the season’s, the characters themselves… and later on mixing it with supernatural elements and making a very credible and creepy Supernatural/Horror based game where you at some point could identify with some characters and feel like its was a possible situation (to some degree of course). 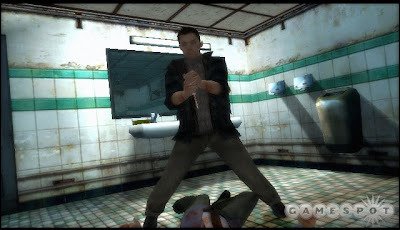 Indigo Prophecy, some of the best atmosphere presented in videogames… Imersiveness, action, creepyness and mystery applied when needed. So I was very excited to see how close to that feeling Alone in The Dark is reaching. Just the shot of Central Park and part of the surrounding N.Y. gives it that super hero flying (or maybe more like swinging) you would see in a Spider Man movie of that land mark and/or the rest of the city, so the camera angle already gives the game a Supernatural/Superhuman feel where you can achieve that shot only as a consequence of some huge and hard to conceive event. Always a cool camera angle for big terrain views, specially when done in huge overflowing with various elements type of settings. 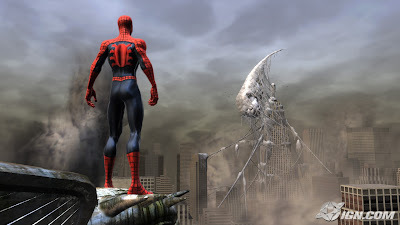 The gameplay is looking sharp in the vid and it seems like puzzles will take a good part in the game, while in an overwhelming situation for the character… while keeping the action – gameplay in the same setting’s atmosphere and alot of interactions with the environment (to what degree or size is yet to be seen). Maybe killing zombies with a gun and flamable objects is so done… but danggling up high within an inch of your life, in between a helicopter and a train will always do the trick. Lastly what I really, really, really like from the vids on Alone in The Dark is that Atari (and whoever else is onboard with the game’s production) finally sat down and talked about what should the game have to set it apart from the other popular Horror game franchises… suddenly someone must have said: “You know what this game needs? Young people singing in Latin” PERFECT!! I can’t stop saying how refreshing it is to see children singing in a weird language as part of the BGM of a Horror game, film, etc.. This is a 20 year old, more or less, concept that is just that right type of crazy and creepy that in the hands of talented people, can make a Horror game extremly creepy/scary/disturbing/weird. Heck! It worked for one of those Nightmare on Elm Street films (aka Freddy Kruger movies) so why not a video game which can make the user’s experience more imersive then a film. Oh man I got really creeped out when I saw that Freddy Kruger movie… I hope Alone in The Dark makes me want to play it under the covers and during daytime. As far of what I’ve seen of the game’s producition, via what Atari is letting out, I’m begining to have high hopes for this game; even more then any other Horror game out their for the reason that Lurch (Addams’ Family butler) himself is talking about it. Its like hearing a creeped out zombie talking about how scary something else is. This game has got to be great… Atari reeeeeally depends on it, so I’m sure they will role out thier biggest, prettiest and most filled with talent “dog and pony show” for this title. Which means a great game for those of us wanting to get it in the near future.